Home » How Can Fibroids Affect Your Pregnancy? 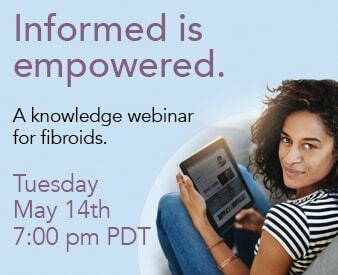 Share the post "How Can Fibroids Affect Your Pregnancy?" How Can Fibroids Affect Your Pregnancy? The presence of fibroids commonly begins during a woman’s childbearing years. For women who are planning for a pregnancy and have fibroids, it is important to be regularly monitored by your OB/GYN for any signs of growth. Fortunately, in most instances, fibroids do not negatively interfere during a pregnancy. However, depending on the size of a fibroid and location within the uterus, complications may arise. No one wants to undergo fibroid treatment while pregnant, which is why it is important to discuss fibroid treatment as early as possible. 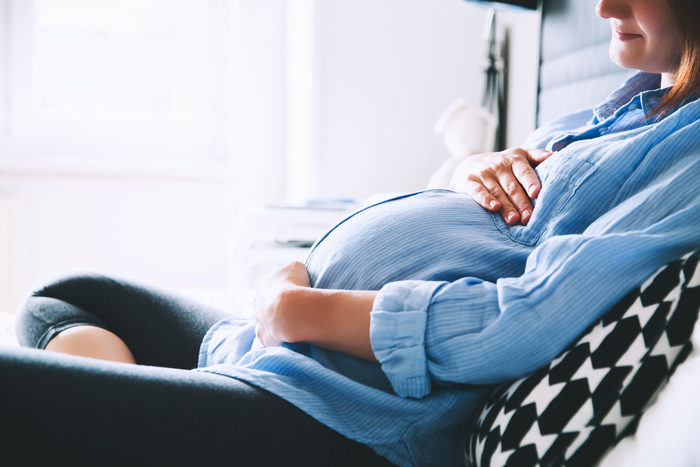 Research suggests that fibroids that alter the shape of the uterine cavity “may reduce fertility as much as 70%.” For women who are considering becoming pregnant and have fibroids, shrinking them may be recommended to improve chances of conception. Fibroids may prevent the sperm and egg from meeting, as well as hinder an embryo’s ability to implant. One surgical option for fibroid treatment is a myomectomy, which cuts out existing fibroids. While it does remove fibroids, this procedure may result in uterus scarring and present problems for a successful embryo implantation. Other drawbacks include a 50% chance of fibroids returning within a 10-month period if any of its cells are left behind during the surgery, as well as a weakening of uterine walls, which can compromise a successful pregnancy. If you are planning for a pregnancy, the shrinking of fibroids beforehand can be a key component in protecting the welfare and health of the fetus, so you can avoid fibroid treatment while pregnant. Uterine Fibroid Embolization offers a non-invasive solution that does not involve cutting, scarring, or fibroid recurrence. Embolization is a non-surgical procedure that focuses only on fibroids, meaning reproductive organs and tissues are left completely undisturbed and functional to help ensure a healthier pregnancy. During pregnancy, hormones in the body cause the uterus to grow and accommodate for the fetus, and in some cases, this large influx of hormones may also cause fibroids to enlarge creating issues both during pregnancy and delivery. In fact, some fibroids will grow large enough to take much needed blood supply from the fetus or take up too much room in the uterus, which can result in a miscarriage. Other consequences that fibroids inflict on a pregnancy include acute abdominal pain and in certain cases, bleeding if the placenta is in close proximity to the fibroid. In late pregnancy, women with fibroids are more at risk to develop preterm labor. This can lead to a preterm delivery, which may cause certain developmental deficiencies in childhood. If the pregnancy goes smoothly despite the presence of fibroids, there can also be challenges during delivery. Fibroids may cause the baby to lie in breech, transverse positions, or block the progress of labor and expulsion of placenta. In these cases, your doctor may recommend a Cesarean section to avoid further problems. If you are planning on becoming pregnant, it is important to take these concerns and solutions into consideration. Left untreated, fibroids can potentially damage your chances of conception, the childbearing process, and the delivery of a healthy baby. Uterine Fibroid Embolization provides a safe and effective solution to shrinking fibroids and promoting a healthy pregnancy. To see the many women who have benefited from embolization, take a look at our list of patients who now have children. For more information on pregnancy and fibroids get in touch with us today at (800) 645-6095.